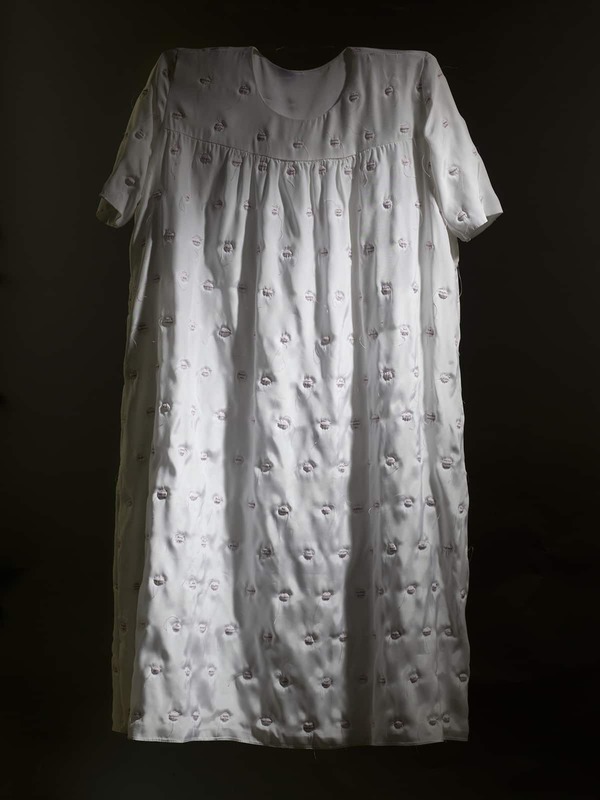 This could also be called “The Dress of the Jewish Mother.” A housecoat which at first glance appears to be a simple polka dot dress. Further investigation reveals that it is in fact silk, with hundreds of hand quilted ‘blisters’ of worries. 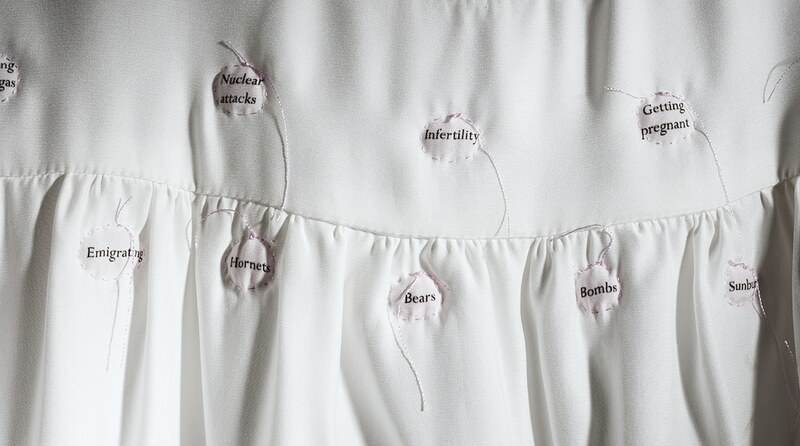 The dress is a metaphor for the way women carry their worries around with them everywhere they go, how we cannot let go and how often these worries spread and fester.